Files attached to templates will automatically be uploaded as Cloud Attachments, which are links to the actual file stored within our cloud. Gmail limits traditional attachments to a total of 25MB, but with Mixmax cloud attachments, you can attach any file of any size. 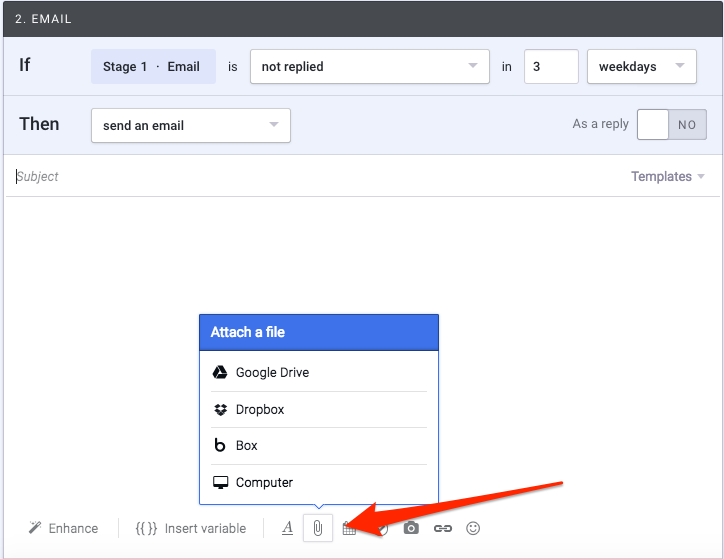 With cloud attachments, you can use our tracking features to see who is downloading your attachments and how often. Actions can also be taken based on downloads using our Rules feature. To attach a file to a template, select your template, and click the paper-clip icon at the bottom of the compose window.